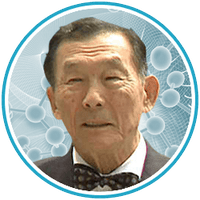 To be honest, until Dr Nagasawa’s work was released to the masses, most people had never heard of Riboceine. Sure his qualifications were impressive, but we wanted to dig deeper into why his breakthrough Riboceine ingredient is able to deliver glutathione to the cells when glutathione pills can’t. The organs that have the highest glutathione levels are the liver, the ears, the lungs, the eyes, the skin and the kidneys. They have the highest concentration levels of glutathione for an important reason – these organs are subject to the highest level of toxins in the environment. Further to that he says… “I can tell you that categorically, Glutathione is the most important endogenous antioxidant (endogenous just means derived from within) there is. For one thing, it is manufactured by your own body. Secondly, it is the only antioxidant that can recycle itself, so it can deal with free radical, after free radical, after free radical. We have no other antioxidant that can do that. Another major function of glutathione, is that it will protect against the oxidative stress of the immune system. Which allows newly formed immune cells to proliferate and attack germs and viruses. And as we’ve all heard, glutathione is the master of sequestering free radicals. One of the most important things in this modern industrial world, is glutathione is the first line of defence against environmental chemicals and toxins. Glutathione protects the immune cell, the nucleus of the cell and the DNA of the cell. It’s what enables antioxidants that we take in, to come into the cell so the cell can use them. For example, when you drink orange juice, the amount of Vitamin C that actually gets into your cells to be utilised, is determined by the glutathione in those cells. One of the reasons scientists have struggled to find an effective solution to getting glutathione back into the cells, is because you can’t simply take it orally. It gets destroyed by the stomach acid during the digestive process. However, after decades of research, it was discovered that if you give your body the right building blocks, it will intuitively make glutathione. These building blocks are known as precursors. The most essential of these building blocks was also the most fragile and it needed protecting in order to make it into the cell. Riboceine is a proprietary molecule that protects cysteine through the digestive process and delivers it to the cell. It’s basically like putting a little protective eggshell around it so it can travel safely and in tact until it gets where it needs to go. Since cysteine is the rate limiting factor for glutathione production, Riboceine perfectly solved this problem using a nutritional solution that left the cell completely in charge of how much and when to produce glutathione. Upon its release, Riboceine became the premier cysteine delivery mechanism and glutathione support product on the market. Unlike any other nutritional compound, Riboceine has been the subject of 20 published, peer reviewed scientific studies funded by the prestigious National Institute of Health and Veterans Administration. If you’re a medical professional and you want to read the studies, you’ll find most of them here. We hope this short article has given you some insight into why the Riboceine technology behind Cellgevity is such an enormous breakthrough. It’s taken Dr Nagasawa 25 years of research to develop this, and now all we have to do to experience the benefits is pop a pill! Before you read the next post, why not impress your friends by sending them a tweet about Riboceine or hit the like button directly below!